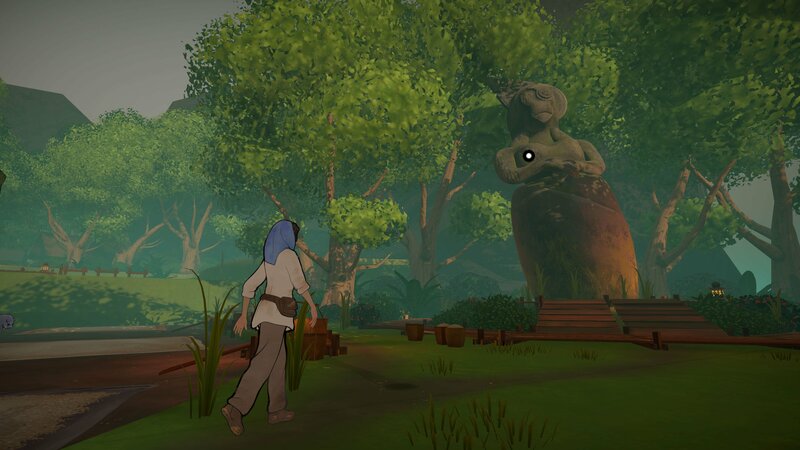 For indie studio Inkle, Heaven’s Vault is more than just a graphical step up, it’s also their most ambitious game yet in terms of concept. Exploring ancient sci-fi dig sites as keen archaeologist Aliya and her robot companion Six, you’ll come across an unfamiliar script made of runes and symbols. To discover the history of the world, you’ll need to piece it together through a mix of guess work, study and intuition. 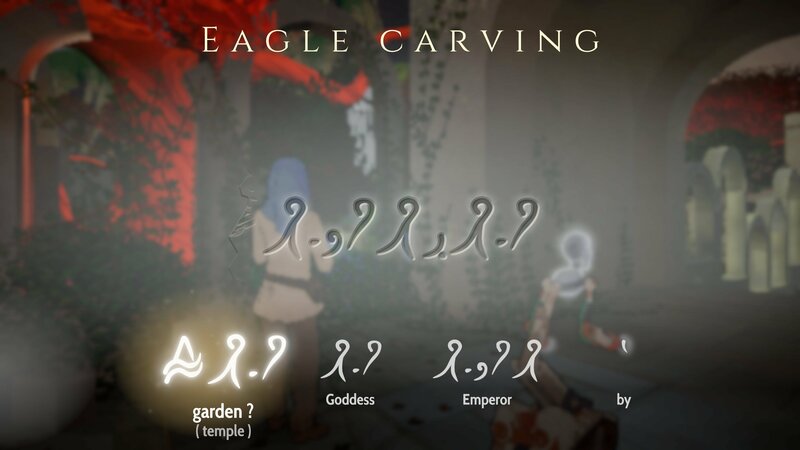 While most games would shy away from the nitty gritty of an imagined language, Inkle have gone in headfirst, creating an ancient language from the ground up to imbue a real sense of consistency as your understanding progresses. Each time you discover a new word, you’re given a few of Aliya’s guesses as to what it could mean, and it’s up to you to choose the best fit. It’s entirely possible you’ll get it wrong, and as your understanding progresses, you can revise your earlier choices to gain entirely new meanings to the words and world around you. 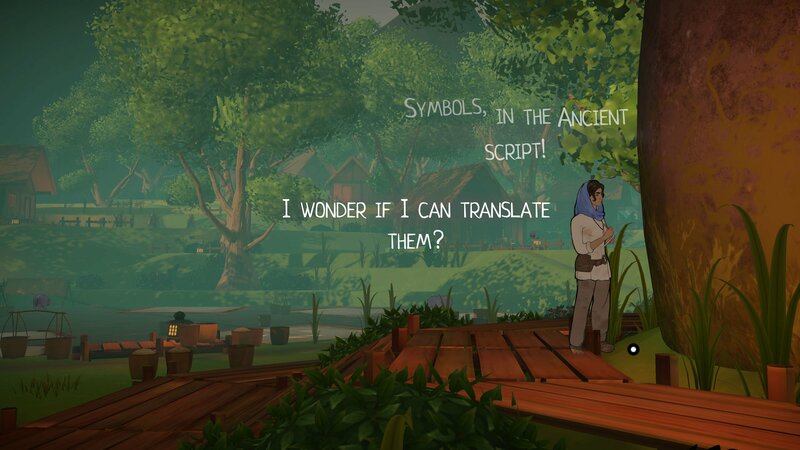 Following a short play session with the game at EGX 2018, we had the chance to chat with Inkle co-founder Joseph Humfrey about the language they’ve designed, the influences behind it and how the translation mechanic fits into Heaven’s Vault’s story. Translating Heaven's Vault's ancient language requires a degree of guesswork. Creating a fully-fledged fictional tongue is more work than most fantasy authors are willing to invest. How long did it take you to bring together the ancient language? JH: I should give most of the credit to my cofounder John, who’s the primary designer of the language mechanic. It’s been the most difficult design problem that we’ve ever had to solve and we’ve been through so many versions of it. 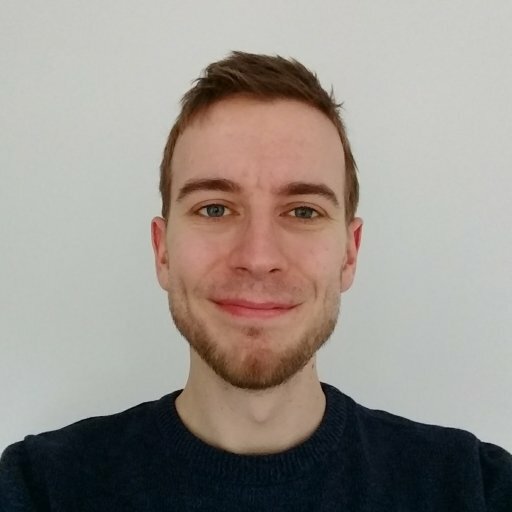 [John is] really interested in cryptography and ciphers as a mathematician, but he’s also an interactive fiction author. There’s an old interactive fiction game where you also decipher an ancient language, but where it’s all done with Western characters so it’s really much more of a cryptogram. He wanted to bring a mechanic a lot like that into the game, whereas I’m much more interested in linguistics generally, so I pushed more of that angle. I like to think of the translation mechanic as the guitar hero of linguistics. I love being able to create the feeling of really translating a language. I’m learning German right now so that’s part of the reason that there’s a lot of these combination semantic concepts that get squashed together to form words. So he brought the cryptogram aspects while I brought an attempt to make it feel like a real language with different influences. Speaking of influences, there are clear inspirations from lologram-based or pictorial languages. For example, just like in Chinese the symbol for a person looks like a bit like a standing human. What were your core goals during creation? JH: Oh I’m glad you pointed that out! That’s exactly right. One of the things we’re most excited about is that there are lots of different ways of getting an understanding of the language. As you pointed out the characters often look like things in real life. I was directly influenced by Chinese in that case, but also by German where the words are often formed out of lots of smaller words. We brought that concept in as well, so if you see a word that has a concept but it’s similar to one that has some other symbols then it might give you a clue, an instinctive intuition of what it means. And then of course there’s the context of where you found the translation, because it’s a strongly narrative kind of puzzle. Unlike a very abstract game like the Witness [Joseph assures us he’s a huge fan], our puzzles are always narrative, meaning they have a purpose in the world and an origin. Someone put the inscription there for a reason, and when you translate it that will feed back into the narrative. It’ll affect the way [Aliya] talks about it moving forwards. You can visit a number of dig sites spread across multiple planets. Why choose a symbolic language? JH: I’m a very visual person and I’m quite into typography. I love what the visual design of glyphs can do. Having multiple ways into the solution of the puzzle is really exciting. I love trying to design every single glyph so that it looks like something and if you make that connection, that’s really cool! Trying to find as many ways that the player might be able to have an intuition about it, because then the player will get more of a sense that they’re discovering something real. Even if you don’t understand everything about it, you might get this feeling that it's all internally consistent and that below the surface there’s some real working things that all make sense. Of course we’re also influenced by Egyptian archaeology too because hieroglyphs are just so cool, and we’re also influenced by Cuneiform because they don’t put any spaces in between their words. One of the core mechanics in the translation is that you split up the words. You might put in words that you already know, and one part of the game is figuring out where you might put the spaces in. Heaven’s Vault lets the player make incorrect guesses for each word, how do you keep them from going entirely off the right path? JH: So you can basically get everything wrong all the time, but if you use something wrong two or three times in a row, [Aliya] will say actually this can’t be right, and you’ve got another opportunity to guess. So by the end of the game you might only have seen seventy percent of the language and only translated a small portion of this, with a portion that’s completely wrong. Different players will end the game with a different understanding of the language. Aliya and her helper Six discuss their work often. In our demo it was possible to leave the dig site without exploring it fully, meaning you could fail to gain certain insights into the language or environment. Will making mistakes in the translation or simply missing details have an effect on the story? JH: It will have an impact but we’ve designed the game to support that feeling of always knowing only part of the history. I mean that’s kind of the reality of the real world as well — you can’t know everything about history. Often we kind of underestimate the abilities of our ancestors to do certain things; we think of them as primitive people but we’re often discovering they were more advanced than we give them credit for. People enjoy discovering new things and we want to reflect that in the game. The overall structure of [Heaven’s Vault] is that there are a number of different dig sites you can visit along with the university. The order you visit them, what you find there and how much you discover might unlock the other sites in a different order. So if you leave early you might miss a clue that would take you directly to a moon that you otherwise wouldn’t get to [for some time]. Dare we ask for a release date? JH: Early 2019. Initially PS4 and Steam. It will be coming on iOS a little bit later but then we’ll see for other platforms. As of now we have no concrete plans.